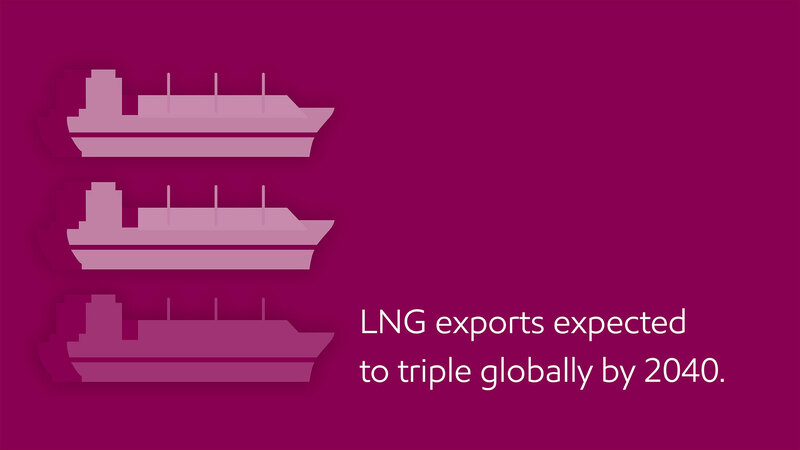 It is obvious that LNG industry has a bright long – term future ahead but the next five years will be challenging. Major LNG importers for the year 2014 according to the International Gas Union were Japan, South Korea, China, India, Taiwan and the UK. The same year the major LNG exporters were Qatar, Malaysia, Australia and Nigeria. Until 2020 many LNG export facilities will come online mainly in the USA and to Australia. 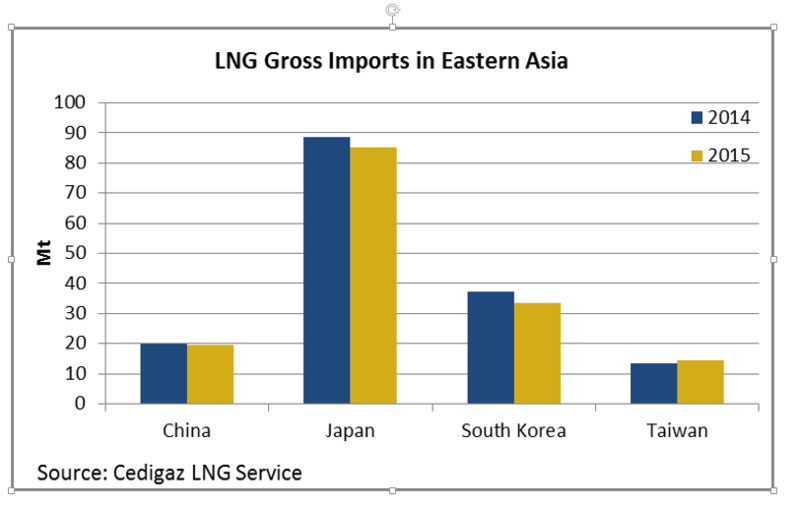 East Asia LNG imports have declined by 3.9 percent in 2015 in comparison with 2014. The main factors for this decline according to Cedigaz (the international association for natural gas) were unexpected low economic growth in that region, gas-fuel competitiveness and weather related factors. Japan: From 15.38$ (January 2013) to 5.75$ (January 2016), a decline of 63%. China: From 15.00$ (January 2013) to 5.60$ (January 2016), a decline of 63%. UK: From 10.47$ (January 2013) to 4.65$ (January 2016), a reduction of 56%. Rio de Janeiro: From 12.10$ (January 2013) to 5.69$ (January 2016), a decrease of 53%. 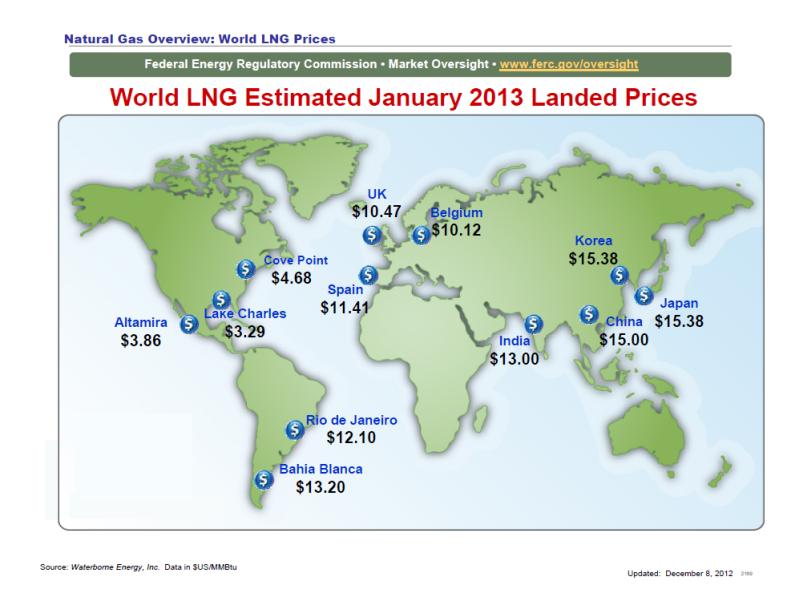 It is obvious from the above information and LNG market trends that global LNG industry faces many uncertainties. 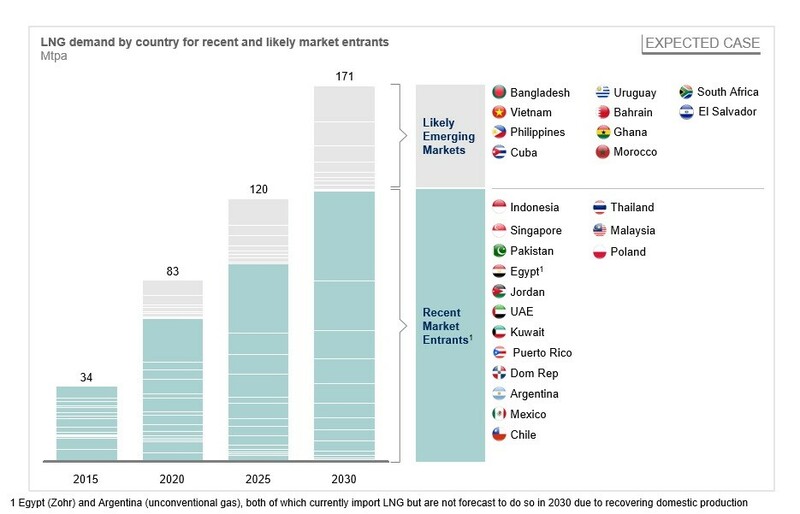 According to the above picture the recent LNG market entrants are Indonesia, Singapore, Pakistan, Egypt (after the Zohr discovery Egypt will be an importer of gas only for the upcoming 2-3 years), Jordan, UAE, Kuwait, Puerto Rico, Dom Rep, Argentina (due to high shale gas reserves the country gas domestic production will recover in the near future), Mexico, Chile, Thailand, Malaysia and Poland. 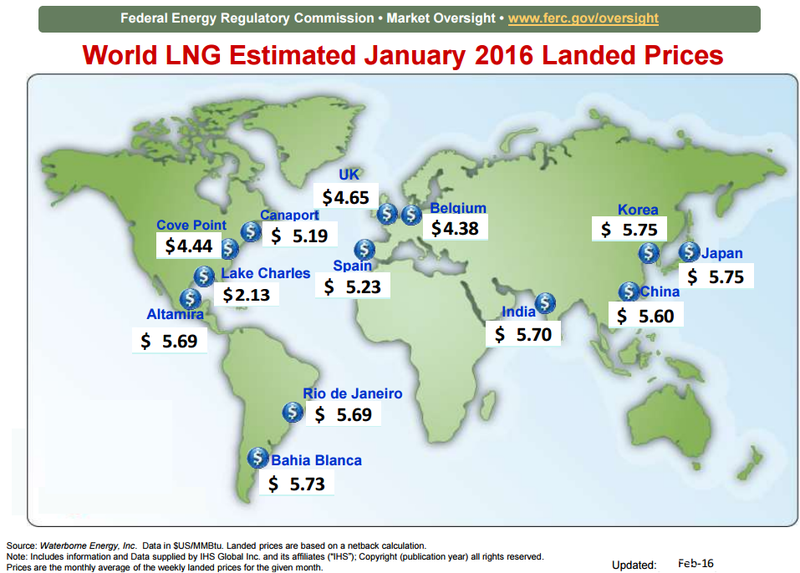 Most of the recent entrants are utilizing floating LNG storage and regasification unit (FSRU). This option to import natural gas from countries which needed is quicker and cheaper than a land-based LNG import terminal. The FSRU market is rising and is a new trend in global LNG market. The first FSRU was first deployed in North America, more particular in the U.S. Gulf of Mexico in 2005.Also, FSRU is a cost-effective solution for smaller or seasonal markets. FSRU are distributed around the world from South America to Europe and the Middle East. Finally, the future outlook for these vessels is promising due to emerging LNG importers like India and Philippines will use this option to import LNG shortly (2016 – 2017). According to the IEA chart, the future LNG demand until 2020 will be generated mainly from Europe, China, India and Middle East.